The son of a virtual world designer goes looking for his father and ends up inside the digital world that his father designed. He meets his father's creation turned bad and a unique ally who was born inside the digital domain of The Grid. Taglines: The only way to win is to survive. To play the computer program CLU, Jeff Bridges' face was "de-aged" with the same technology used on The Curious Case of Benjamin Button to "age" Brad Pitt. Thus, in his role as Flynn, Bridges appears to be his actual age of 61, but as CLU (a program written back in the 1980s) he looks like he's in his 30s - programs don't age. Revealing mistakes: When Edward Dillinger Jr. logs into the console during the board meeting, if you look very carefully during the cut-scene from his typing to the console screen you will see "Ubuntu" as the actual console root. 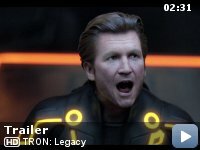 TRON: Legacy has been one of the most promoted films of the year. With a monstrous budget (around $200 million) and reports saying that Disney is worried that the film isn't tracking as well as they'd hoped, the initial thought process from these rumors is that the TRON sequel will open to a disappointing first place weekend much like the most recent Chronicles of Narnia film. As of this writing, I haven't gotten around to seeing the original film. I wanted to, but thanks to Disney it was pretty much pulled from every retail store imaginable whether you wanted to rent or purchase the film at least until next year. 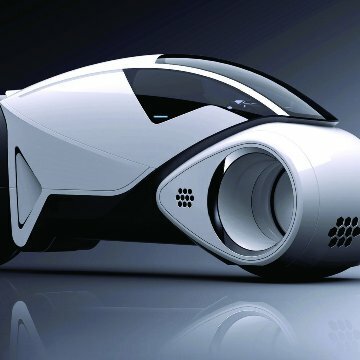 The urge to see TRON: Legacy didn't really sink in until around the time the third trailer was released. 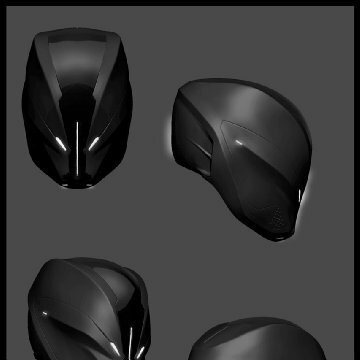 While the Daft Punk score has interested me from the beginning, TRON: Legacy just seemed like another overrated piece of eye candy that fan boys were getting excited about. The thing about first impressions though is that they always have the opportunity to be wrong. The glorified TRON sequel is getting a lot of mixed reviews from most movie critics. The problem seems to lie within the way the film is written and its screenplay. To tell the truth, you don't see a movie like this for a great story alone. The special effects are the main attraction and boy, do they deliver. The way programs disintegrate when they're disposed of, the light cycle battles, airborne chases, and the many fight sequences in the film are just a small example of the dazzling display of some of the most exceptional and impressive special effects ever seen in a cinematic feature. As with most films that have been presented in 3D lately, the 3D effect probably isn't necessary to enjoy a film of this magnitude. It'll be just as entertaining if you save yourself the extra $4 and see it in a conventional theater. The writing didn't seem as bothersome as much as other reports say. 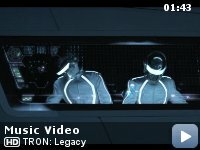 It certainly wasn't the best, but it seemed like enough to add just the right amount of depth to TRON: Legacy and give it more of a background than most films revolving around spectacular special effects. There were a few lines that bothered me. The main one being when Alan first visits Sam and Sam says something about his father probably either being dead or chilling in Costa Rica...or both. Wait, what? It just gives you this Weekend at Bernie's flashback with Bernie being replaced with Kevin Flynn's limp carcass. Some of the lines Jeff Bridges muttered just made him seem way too much like The Dude from The Big Lebowski, which seems awesome but really has no place in the TRON universe. Saying things like, "Check this out," or, "Radical, man," followed by that stoner laugh of his really didn't help matters much. The weak points of the way the film is written are rectified with the way the film never lets your attention out of its choke-hold. You'll be drawn to the screen the entire film; that's practically a guarantee. The right mindset for a film like this can make or break your opinion of the film. If you don't have inflated expectations and don't expect much more than impressive special effects, then you'll probably walk away pleasantly surprised. I actually had a similar mindset during Avatar, which seemed to also suffer/take advantage of groundbreaking special effects being more consuming than the story and had a similar result. The cast is about as developed as can be expected. The real star of the film is Garrett Hedlund, who does a pretty decent job of carrying the film and being generally astonished that not only was his father alive but the extraordinary world he always talked about actually existed. Jeff Bridges' performance isn't nearly as strong as his portrayal of Rooster Cogburn in True Grit, but he does have his moments. He seems to shine during his reunion with Hedlund and his strongest scenes are with Hedlund alone while being rather flat the rest of the time. 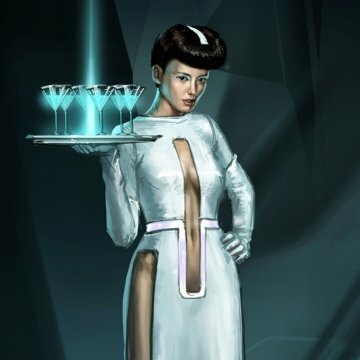 Olivia Wilde's Quorra is interesting, as well. There's an intriguing twist to her character, but her fascination and curiosity revolving around the world Sam is from is what gives her character heart. Michael Sheen did seem a bit too over the top at times as Castor, but that may have been the point. The biggest surprise was seeing Cillian Murphy cameo. Given his strong outings in films like Sunshine, Peacock, and Inception, it just left me wanting to see more of his character in future installments assuming this film does well enough to warrant a sequel (or sequels). 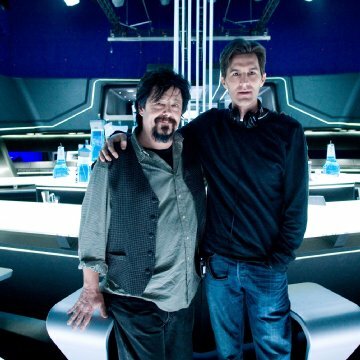 TRON: Legacy is certainly the special effects extravaganza it's been made out to be all year. Its fantastic effects certify the sequel as being the most visually appealing film of the year. While the writing of the film isn't quite as polished as the special effects, there certainly seems to be a good enough balance to keep the film afloat and deliver an extremely entertaining way to kill two hours. 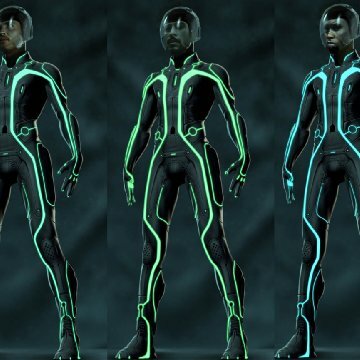 As far as eye candy goes, TRON: Legacy is an incredible and all around awesome experience.